of age and born after January 1, 1998. NEW! Are you an Off-Highway Motorcycle rider? 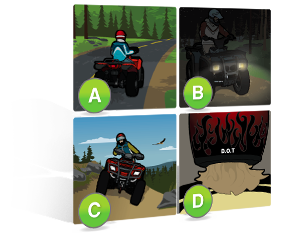 If you have already completed your ATV safety course and want to ride an OHM on public trails, you must first complete the OHM Mini-Course. It's completely FREE and will only take about 30 minutes to complete. 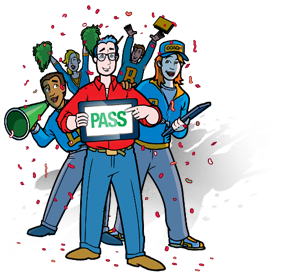 To be eligible for this mini-course, you must have already completed your ATV certification prior to October 1st, 2016. If you have not taken any previous ATV safety course then you must complete the full ATV/OHM course, not this mini-course. 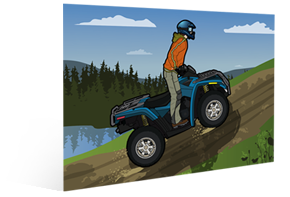 Do you need the Wisconsin ATV Safety Certificate? Born after January 1st, 1988? 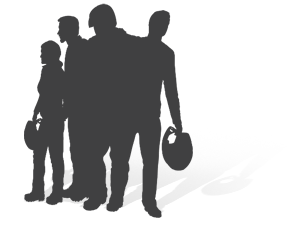 In Wisconsin, all riders who were born after January 1, 1988 and are over the age of 12 are required to complete an approved ATV Safety Course and carry the Wisconsin ATV Safety Certificate with them while riding on public lands. 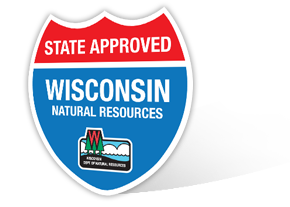 Approved by the Wisconsin Department of Natural Resources. And that's official.